In the run up to the release of their debut album later this year, Scotland’s finest musical export Altered Sky have announced they will be embarking on a nationwide PULP tour in August, starting this week. 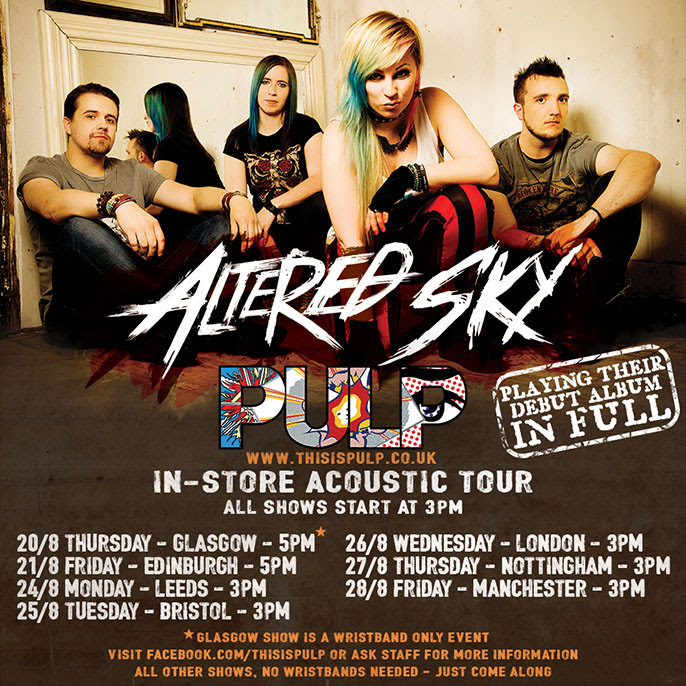 The 7 date tour will see Altered Sky give new and old fans an exclusive in-store acoustic performance of their forthcoming debut album. As well as the acoustic tour this month, the band have also released their first single from the album, ‘Bury It All’, along with an official video.